Everyone in this world certainly have a type of favorite place visit. A special place one want to visit when they feel sad, burn-out or simply need a vacation. It is because visiting a certain place or meeting someone you love, or going on vacation with someone you love could make you feel healed, refreshed, inspired, and ready to do your daily activities again. Choosing a destination to visit is really important because you have an expectation that this place you choose would ‘heal’ you and make you feel alive again. Some people, choose beach as a place to go to when they need to calm down, away from the buzzing-crowded city, and tons of workload. As you might already know, Indonesia has a lot of beautiful beaches since this country is well-known as the archipelago country. And yes, Bali offers awesome things to do for travelers,but if you want to visit the anti-mainstream place, you can try to go to Bangka Belitung. 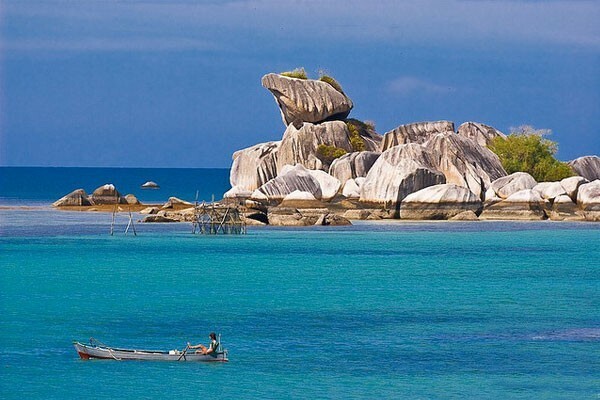 This beach is located 40 kilometers from the capital of the Province of Bangka Belitung, namely Pangkalpinang. 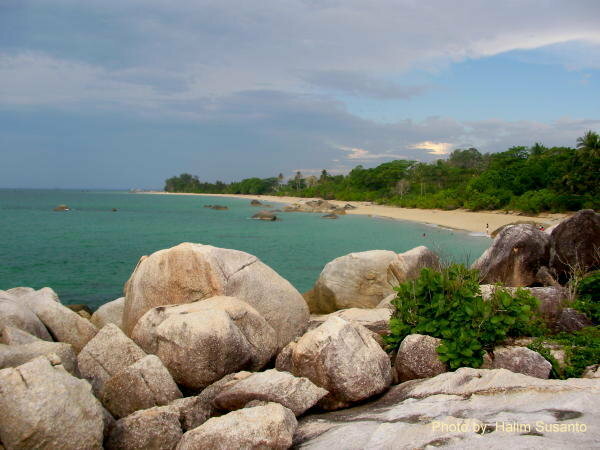 Parai Tenggiri Beach is said to be the beach that has terrific views and it is considered as the most beautiful beach. This beach has soft waves and a slope surface. In addition, stretches of granite are also scattered in this coastal area, both large and small. You can see the beauty of this beach and the view around it if you climb granite rocks in this coastal area. The sensation of enjoying the beauty of the stunning South China Sea can be felt right away. In addition to the beautiful scenery, there are also various rides or water games provided around this beach, such as banana boating, parasailing, snorkeling facilities, and fishing facilities in the form of fishing boats complete with equipment also available on this beach. 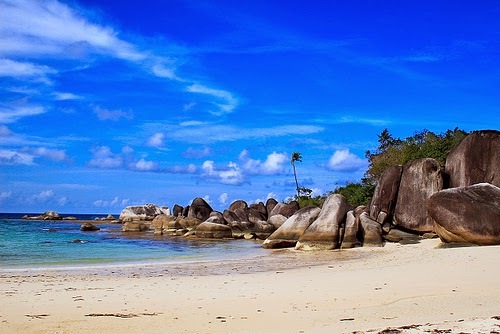 The second beach in Bangka Belitung Province after the Parai Tenggiri beach is Tikus Beach. This beach is still considered natural beach and not many people have visited this beach. The beautiful and exotic panoramas of this beach can be seen from steep hills and stretch of granite rocks and blue sea water. At the top of Bukin there is a magnificent temple that stands in a round shape. And this is the icon of Tikus Beach. Besides being pleasing to the eye, this beach is also suitable place to play around the coastline, making sand castle or just sun-bathing. 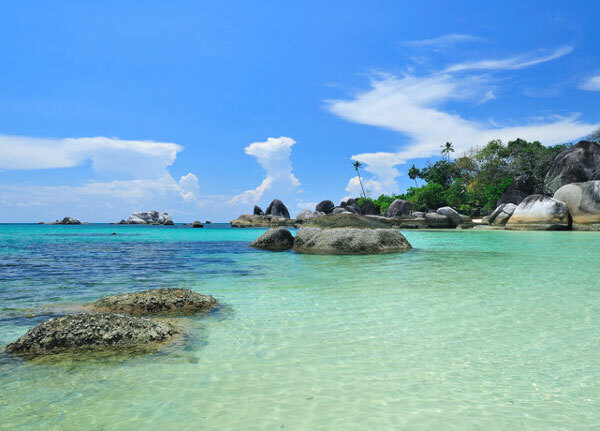 Here are the best beaches in Bangka Belitung Indonesia. Penyusuk Beach is a hidden beauty in Bangka Belitung. This beach is located in the northern part of Bangka. If you come here, then you will find granite rocks that are piled up as if forming a niche. Other than that, you can see a lot of trees that will please your eyes, the four beautiful lined islands are also part of the beautiful panorama. There are also fishing boat rentals on this beach. One boat with a capacity of around 10 people is rented at a price of 150,000 to 250,000 rupiah. One island that is the most favorite to visit Lampu Island. It is because in the island, there is a lighthouse you can visit and take some pictures at. 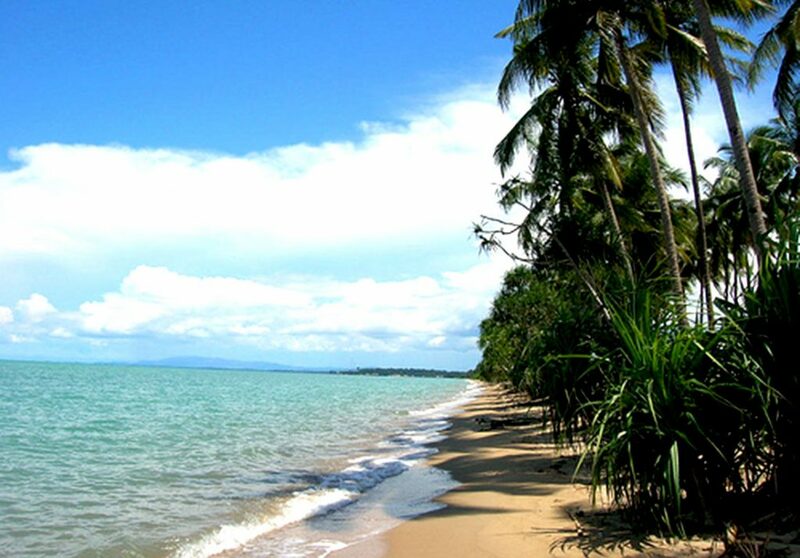 Pasir Padi Beach is the closest beach from the city of Pangkalpinang, which is only about 7 kilometers. 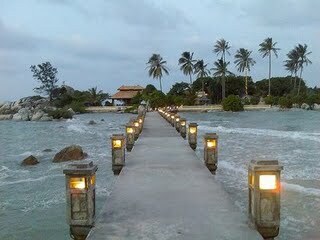 This beach is also the most famous beach in Bangka. So it is not surprising that many tourists visit this beach. The name Pasir Padi (Sand Rice) comes from the white sand-grain texture resembling rice that only exist in this beach. You can do a lot of beach-related activities at this beach such as snorkeling, swimming, and sun-bathing. Tanjung Kelayang Beach is one of the tourist destinations located at a radius of about 27 kilometers from downtown Tanjungpandan This beach is a travel destination either from domestic and international tourists. At certain times, hundreds of yacht boats from various countries will stop by this beach during the Sail Indonesia event. The specialty of this beach is the presence of dazzling granite rocks with one of the rock formations that resembles a bird’s head, and its white sand. This is also what made this beach famous for a long time. A gentle beach breeze will make us feel relax, refreshed, and make us feel calm and comfortable. This beach is one of the favorite tourist attractions of the Bangka people. To go to this beach it only takes about 15 minutes from Sungailiat city, or 45 minutes from Pangkalpinang City. This beach is located in Rambak Village, Sungailiat. This beach also offers a variety of exciting rides and water sports, such as canoeing, banana boat and jetskiing. This beach is also has beautiful view and a good place to relax and sun bath. 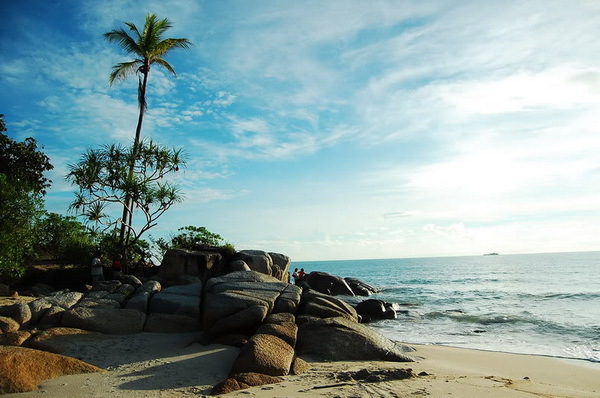 Tanjung Tinggi Beach is a beach that is popular among the Belitung people. This beach is located 30 kilometers away from the center of Tanjungpandan. 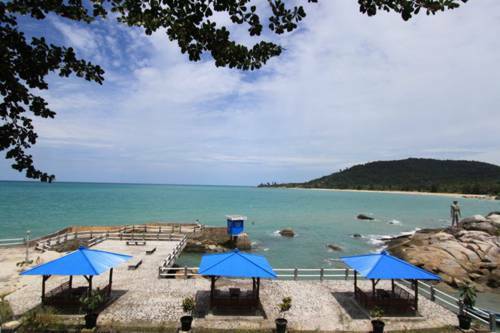 Tanjung Tinggi beach is the filming location of the well-known movie “Laskar Pelangi”. Various beach sports can be done here. In addition, facilities such as restaurants to resorts are also available here. Penyak Beach is the beach with the longest coastline, it reaches 3 kilometers. This beach has signature characteristics such as sloppy surface and is located near a highway that connects Pangkalpinang and Koba. This beach becomes a rest area for people who travel to or from the said cities because it has a nice view and a good place to take a rest.